Showing results by author "J. B. 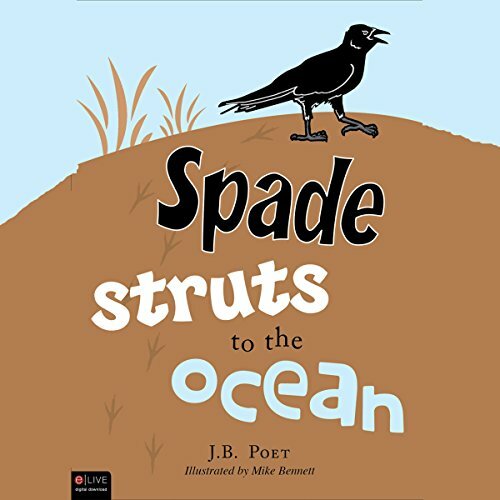 Poet"
Spade is a crow who grew up in a very snobbish neighborhood. Every crow in Spade's murder (that's Crow for 'flock') is convinced that crows are the smartest, bravest, and best creatures in all of God's creation. They're so convinced that they're better than other animals that when Spade suggests that other species might have talents of their own, he is banished from the murder forever. As Spade wanders alone, he comes across a seagull walking along a road and just can't figure out why the seagull isn't flying. Spade is a curious crow, so he decides to follow the seagull.